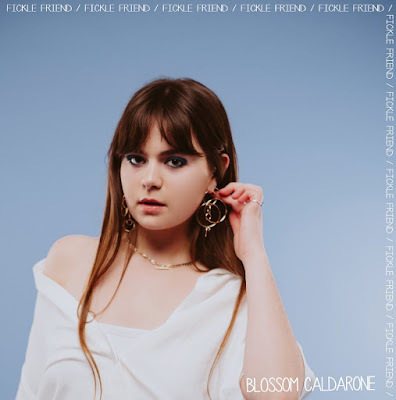 18 year old Blossom Caldarone has shared the video for her new single Fickle Friend. The video gathers together a group of friends to help illustrate to songs narrative that once again, many a young woman can relate to daily. The trials of developing friendships and deciphering which of those are for life or which are far more fleeting. Watch the visuals below! I wrote Fickle Friend after finishing school when I was working out who my real friends were. It’s about when someone does a few small things that make you question everything your friendship is built on. The video features some amazing musicians and friends which made the shoot so much fun!! I wanted the visuals to feel staged and fake, sort of like the people the song is about. Shout out to all snakes we’re all trying to avoid! Fickle Friend follows her debut single Fairytale Lullaby that came in late Oct '17. She'll also play another south london show on March 20th at The Ivy House in Peckham.